Lower abdominal scars are a common site for developing incisional hernias. The complex anatomy of the pelvic and lower abdomen limits the size of Intraperitoneal placement of large preperitoneal mesh in such situations help in overcoming this problem. 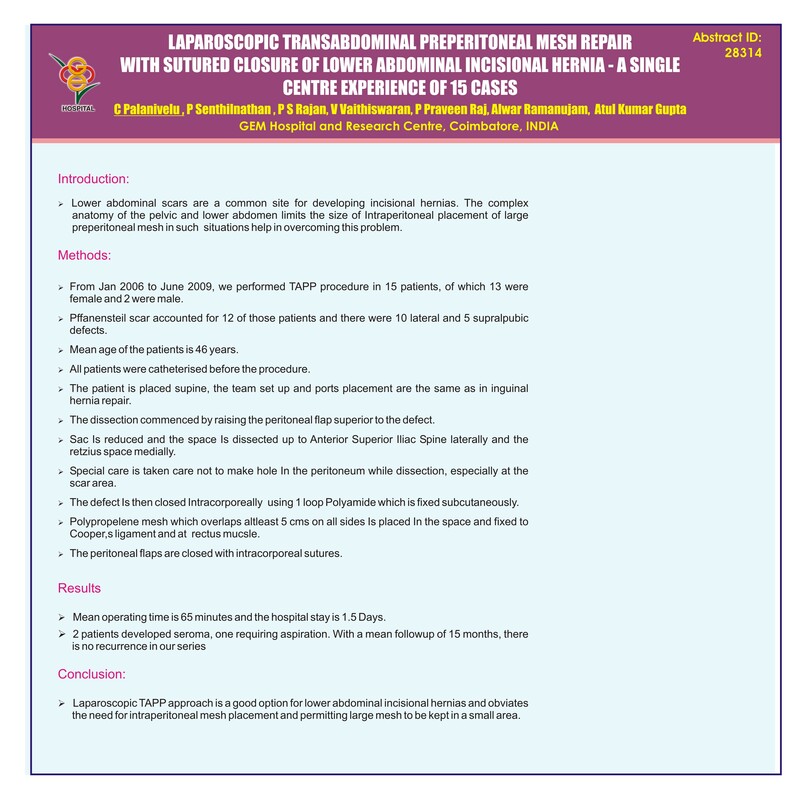 Conclusion: Laparoscopic TAPP approach is a good option for lower abdominal incisional hernias and obviates the need for intraperitoneal mesh placement and permitting large mesh to be kept in a small area.